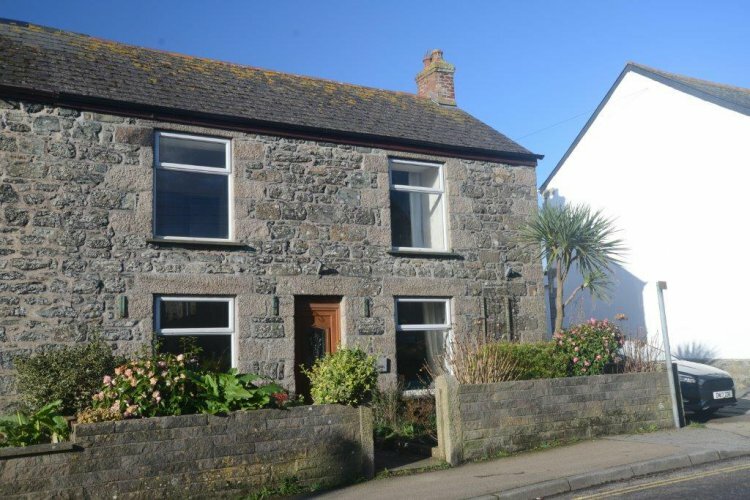 Set right in the heart of Mullion village, the stone face of this cottage is deceptive as it extends backwards which makes for spacious rooms. Everything from shops, pubs and eateries are within short level walking distance of the door step and the popular fish & chips hop is just round the corner. The beaches at Poldhu and Polurrian are nearby too and the harbour at Mullion Cove is a 10-15 minute walk. Mullion is the perfect base for exploring the whole Lizard Peninsula, with the popular Kynance Cove just 10 minutes in the car or the furthest Southerly point at Lizard just a little further. The walk from Mullion to Lizard Point along the cliffs is exhilarating for the energetic members of your party, enjoy one of Anne’s famous pasties in Lizard village and then you can always get the bus back to Mullion! Helston is the nearest town, approx 15 minutes away, with a range of supermarkets as well as a good choice of restaurants and pubs. Porthleven, Penzance, St Ives and Truro are all easily reachable within an hour. There’s space to park one car next to the property, then enter through the small front garden and into the hall. The living room has comfy sofas and chairs centred around the old fireplace where there’s now an electric fire effect heater. The TV above is cleverly disguised as a mirror when not in use and has a Blu-ray player which is encased in the hand-built cabinets, with ambient lighting coming from behind the stonework on either side of the fireplace. The large kitchen/diner has fitted units with electric fan oven and induction hob, fridge and freezer, dining table with six chairs. Also on the ground floor is a second, smaller lounge off the hallway with a DVD player (no TV channels), ideal for children or a private place to read or play games. The ground floor bathroom has a bath, toilet and handbasin. At the rear of the cottage is a small enclosed patio style courtyard with a bistro style table and two chairs for sitting out. Upstairs all rooms are off the central corridor. The master bedroom has an oak double bed with bedside tables and lamps, chest of drawers and built-in storage cupboard. The shower room across the hall is decorated with stone and has a shower, toilet and handbasin. The second bedroom is another double room with built-in wardrobe and vanity unit and a pair of oak bedside tables. Bedroom three has an oak 3’ single bed, bedside table, oak tallboy and a built-in wardrobe. Bedroom four is another single bed with bedside table, built-in wardrobe and vanity unit. Rental includes bed linen, towels and utilities. Additional parking is available in the free public car park approximately 200m or on the street nearby (restrictions apply on some parts).